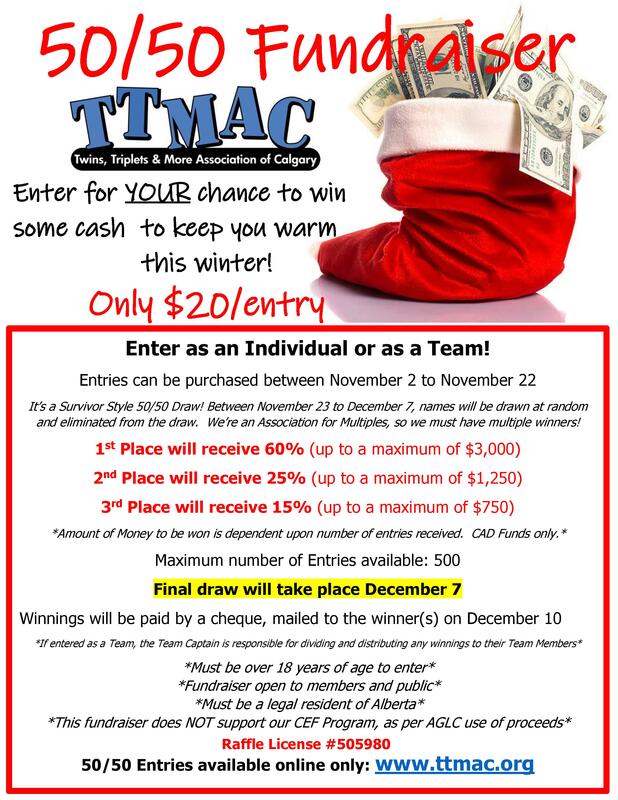 Want a chance to win some Cash for Christmas ? It's our SECOND 50/50 Fundraiser! It's a "Survivor" Style elimination from Nov 23 to Dec 7. Final Draw is December 7 and the 3 winners will be announced! 2 entries = 1 guest registration. Must be a resident of Alberta to purchase tickets. If discovered that a fraudulent claim of residency has been made then you lose the right to any winnings and forfeit the tickets costs. The last three names drawn will be winners on December 7.